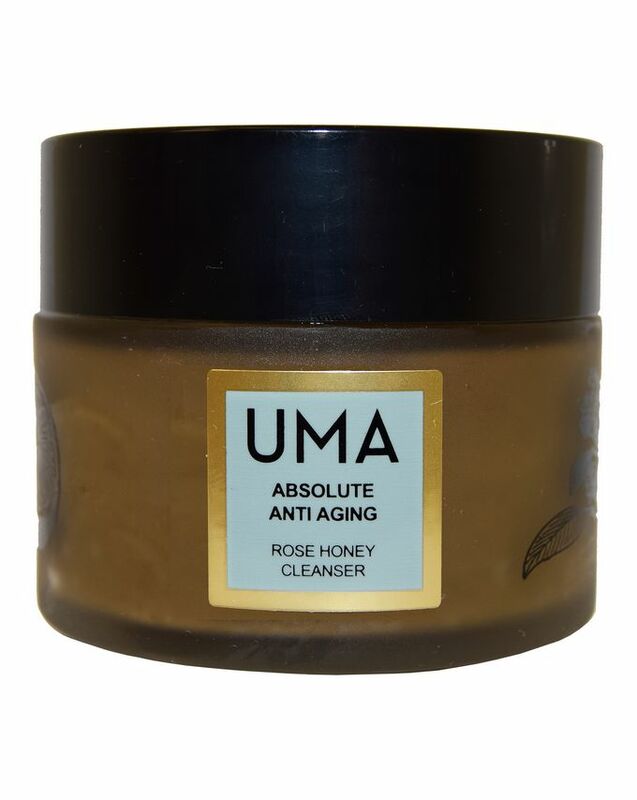 Uma’s potent, Ayurvedic cleanser is brimming with two of our favourite ever skin care ingredients: honey and rose. Rich in antioxidants, honey has been revered since ancient times for its ability to lift surface debris while balancing and calming inflammation; rose, meanwhile, helps to hydrate, revitalise and moisturise. Enriched with plenty more precious hydrating and plumping ingredients, this ‘royal jelly’ cleanser is the ultimate foil for signs of dullness, fatigue and ageing – restoring radiance and boosting blood flow to leave your face feeling soft and looking luminous. 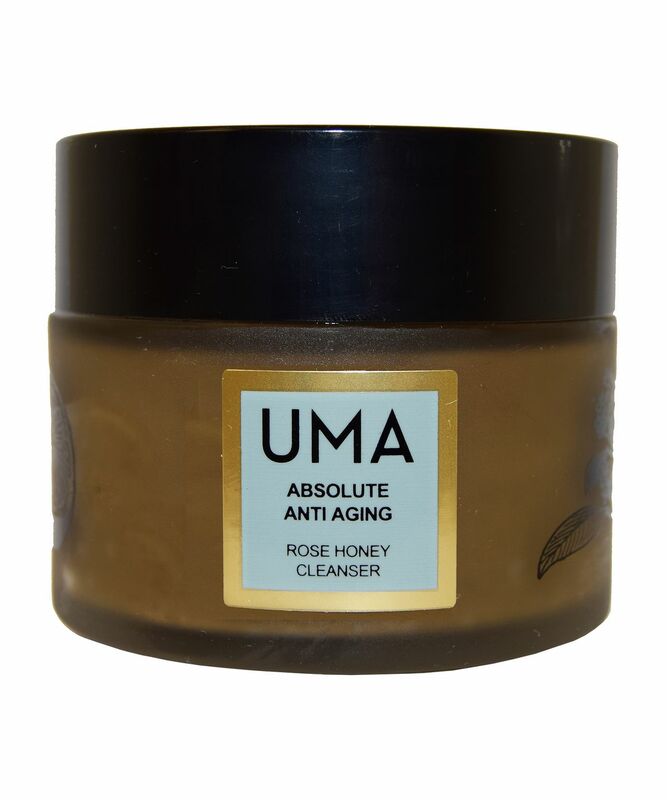 An indulgent, balancing and hydrating cleanser, Uma’s Absolute Anti Aging Rose Honey Cleanser removes surface impurities while restoring much-needed moisture and enhancing elasticity to increase suppleness, resilience and ‘bounce’. Among the most ancient of antiseptics, honey holds a revered place in Ayurveda for its deeply revitalising, antioxidant properties. Honey gently lifts surface debris and excess oil while balancing the skin’s natural pH and calming inflammation. Alongside this, rose water hydrates and moisturises, leaving skin beautifully refreshed and plumped, while powders of rose and oats wield gentle exfoliating action, brightening skin while preserving health and vitality. Lemon extracts deeply clarify pores and lighten imperfections and, finally, essential oils of rose, sandalwood and frankincense create a luminous barrier of protection so skin is left cleansed, nourished and protected. Rich in age-defying properties, this super-natural, ultra-luxurious concoction will swiftly become your favourite way to cleanse. Wet face thoroughly. Scoop about 1-2 teaspoons of cleanser onto palm and apply to skin in gentle circular motion. Massage skin with cleanser for 30-45 seconds, avoiding the eye area. Rinse off thoroughly with cold water and pat dry. I’ve used it now for a few days now and it’s lovely deep cleanse. It’s a little messy but really worth it!